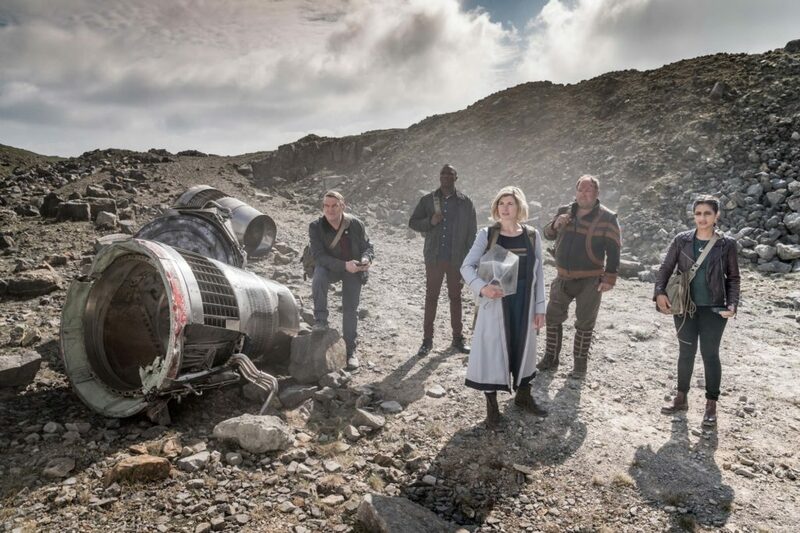 After months of anticipation, Doctor Who premiered today in an international simulcast. 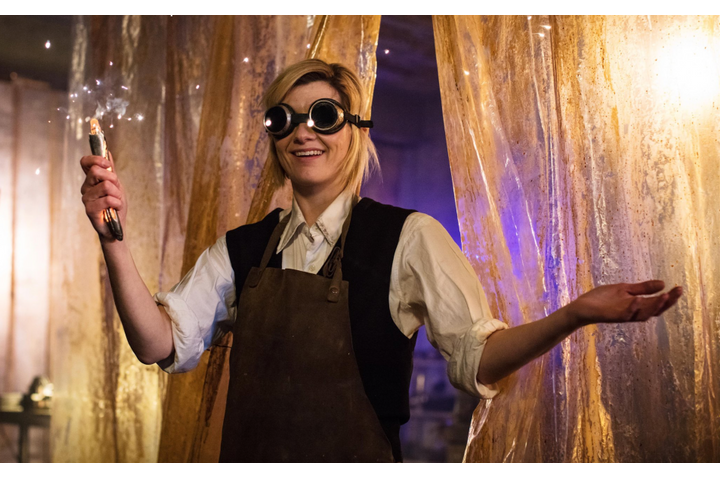 Jodie Whittaker totally nailed the role as The Doctor, showing that glass ceilings can be broken when you have the right woman. 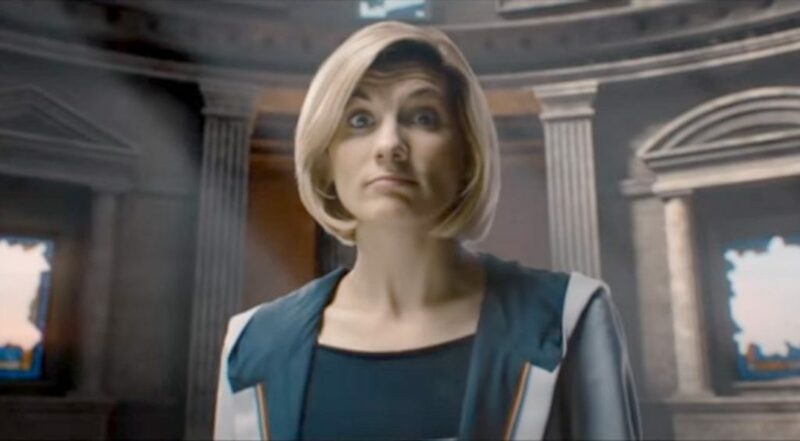 Her personality as the Doctor is far from completely established as this was a regeneration episode in which the Doctor is suffering from post-regenerative trauma. Whittaker did capture both many aspects of previous Doctors along with the disorientation of one in the process of completing a regeneration. She managed to be both somewhat confused and totally in charge, without this feeling at all contradictory. 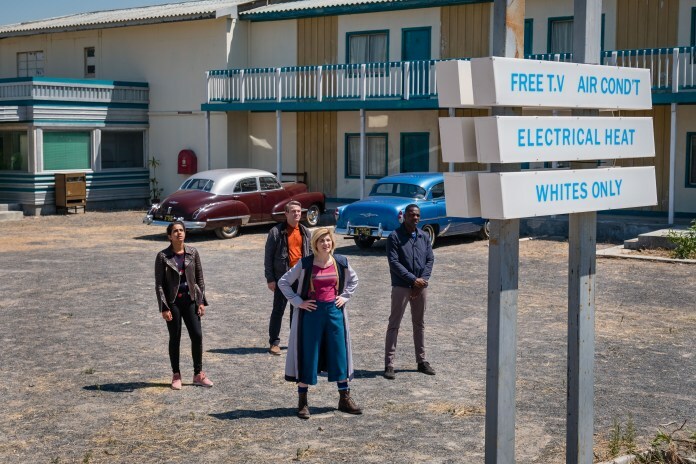 Chris Chibnall and crew also showed they understand what came before them on Doctor Who. Yasmin, a new companion training to be a police officer, initially wanted to play by the book. The Doctor dissuaded her: “And why do you need to check CCTV when we all saw it with our own eyes? But, you’re worried about how you’ll explain all this to a superior officer who won’t believe you.” This scene involving a woman who fears she will not be believed benefits from the accidental timing of airing the day after Brent Kavanaugh’s confirmation to the Supreme Court, despite the accusations of a woman which some did not believe. 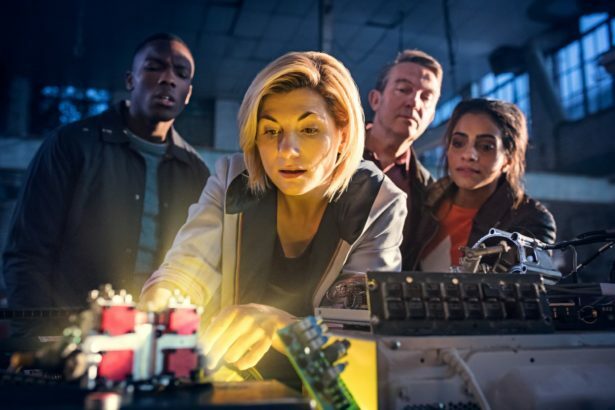 While the explanation worked, I do hope that she goes back to referring to it as her sonic screwdriver and not sonic Swiss army knife. There’s this moment when you’re sure you’re about to die. And the you’re born! It’s terrifying. Right now I’m a stranger to myself. There’s echoes of who I was and a sort of call towards who I am. And I have to hold my nerve and trust all these new instincts. Shape myself towards them. I’ll be fine. In the end. Hopefully. But I have to be, because you guys need help and if there’s one thing I’m certain of, when people need help, I never refuse! Right? This is gonna be fun! We did meet a whole new group of companions. 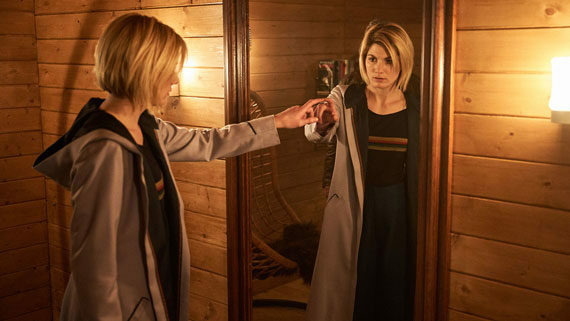 Among things we learned were that Ryan has a tendency to touch things he shouldn’t, which the Doctor warns about in the preview to next week’s episode. He also has a developmental disorder which interferes with activities such as riding a bicycle. I wonder if riding a bicycle will become important in a future episode. We also learned that Graham has cancer, which is in remission. I haven’t said very much about the actual story or the monster as this part was weak, as we have seen in previous regeneration episodes. There was far too much table setting to deal with than to worry about the story. There were some major plot holes which will soon be forgotten, such as how the monster initially came to earth to take someone’s sister before Ryan gave permission. 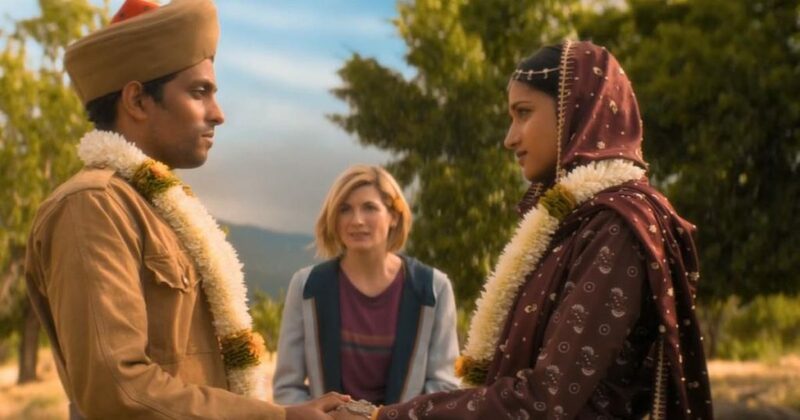 If people are being held in some sort of stasis on the cusp of life and death, I would have expected the Doctor to go to their rescue. Maybe we will see this in the future, but I suspect we will not. Once the monster was taken care of, partially in a manner the Doctor did not approve of, and there was a funeral for one character who did not survive, the Doctor was advised of the need to finally change her clothes. Rather than going through the TARDIS and throwing clothes all over until finding the desired look, the Doctor did the same in a clothing store. The store clerks will hate her. Then on to getting the TARDIS back. 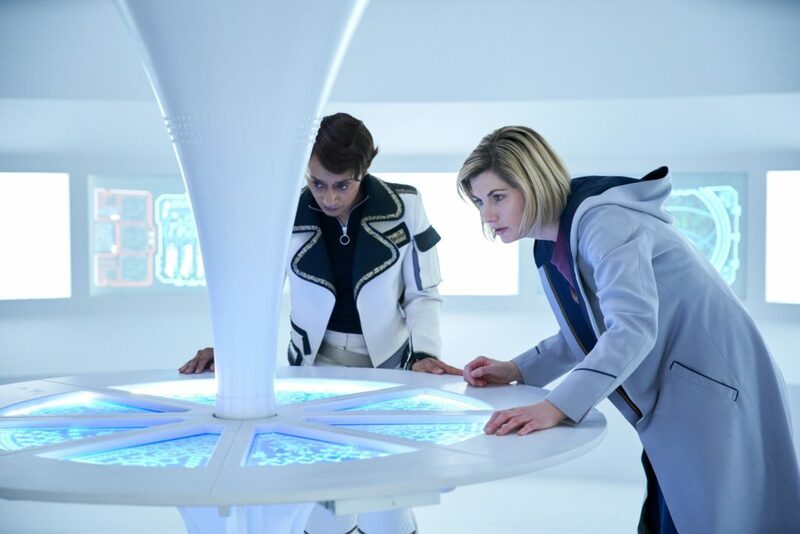 This was not completed this episode, so we did not get a chance to see either the new interior or the reactions of the new companions to it being bigger on the inside. Instead there is sort of a cliff hanger with them all just floating in space. I imagine that if the Doctor could fall all the way to earth without getting hurt, surviving this will not be all that difficult. The first Star Trek Short Treks premiered with Runaway, staring Mary Wiseman as Tilly. 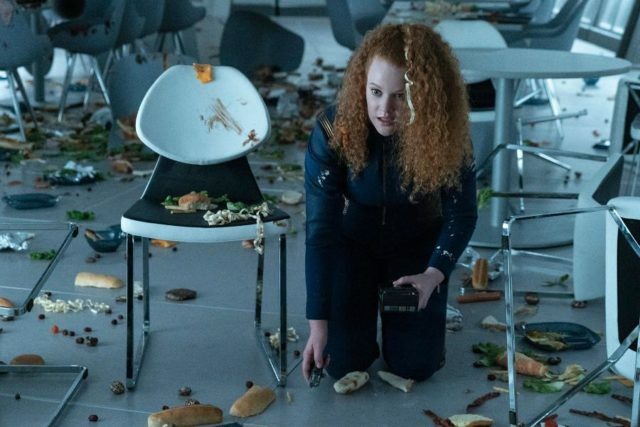 The episode gives us a food fight, a further look at Tilly’s desire to get into command, and an introduction to another planet (which may or may not play a part in the actual series). Speaking to TrekMovie at New York Comic Con on Saturday, executive producers Alex Kurtzman and Heather Kadin confirmed that actually, the plan is for new Picard show to be an ongoing Star Trek series. Heather Kadin specifically confirmed they are planning for the Picard series to run multiple seasons. 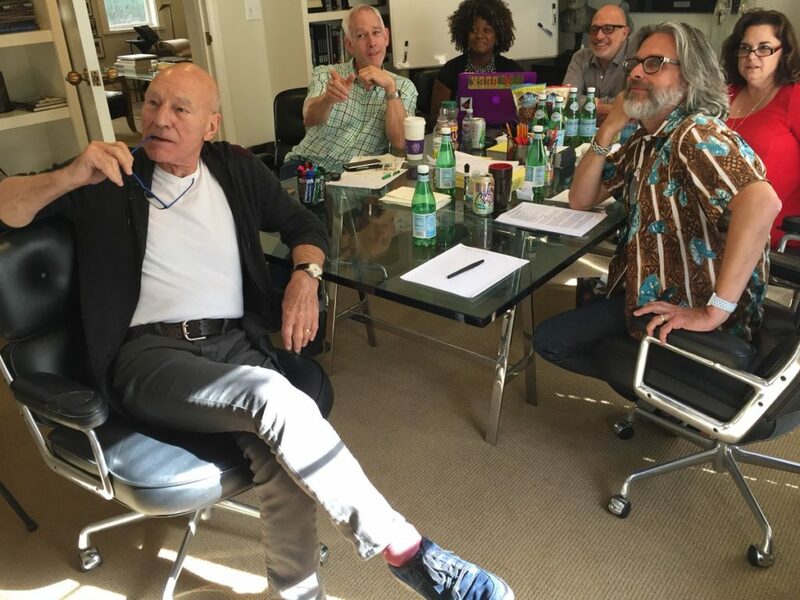 During the Discovery panel itself, Kurtzman spoke very briefly about the Picard series, saying the writers’ room is up and running, and noting “we are four weeks in.” Speaking to TrekMovie following the panel Kadin and Kurtzman confirmed that production on the Picard show is expected to begin in April 2019. They were not able to provide any estimates on when the show would be released, but if the Picard show follows the same pattern as Discovery, it could debut in early 2020. The producers did talk about how they hoped to roll out the various shows in the planned expansion of the Star Trek television universe. When asked about CBS Studios David Stapf’s comments from August saying there “should be a Star Trek something on all the time on All Access,” Kadin confirmed with TrekMovie that the plan is to not have Star Trek shows overlap. She also noted they plan to have breaks between the various Trek shows, to build up fan anticipation. 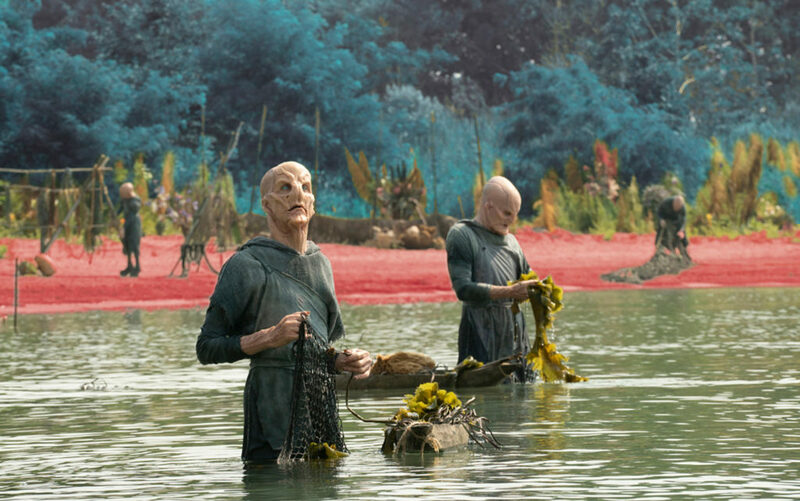 No other details on the Picard show were revealed during the panel or at our roundtable discussion. However, at the panel Kurtzman did tease the crowd regarding the Picard show saying “Who wants to know who the bad guys are?” only to then say “no” he wasn’t going to give out that kind of info. 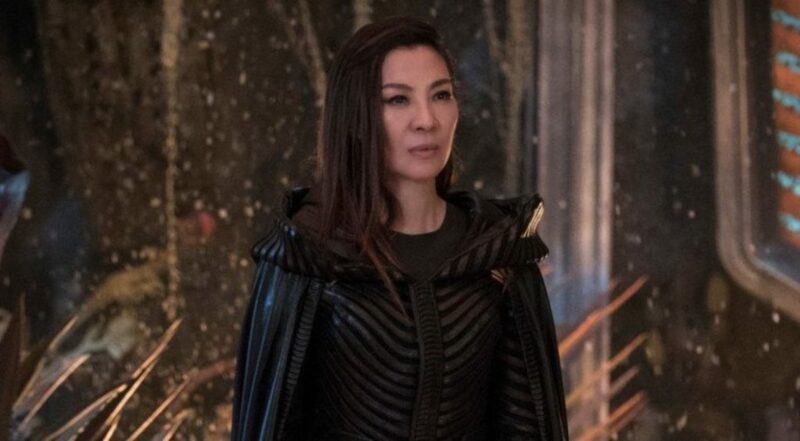 Taking place much further into the future, it only makes sense that the new series will not mesh into the plot lines of Discovery. 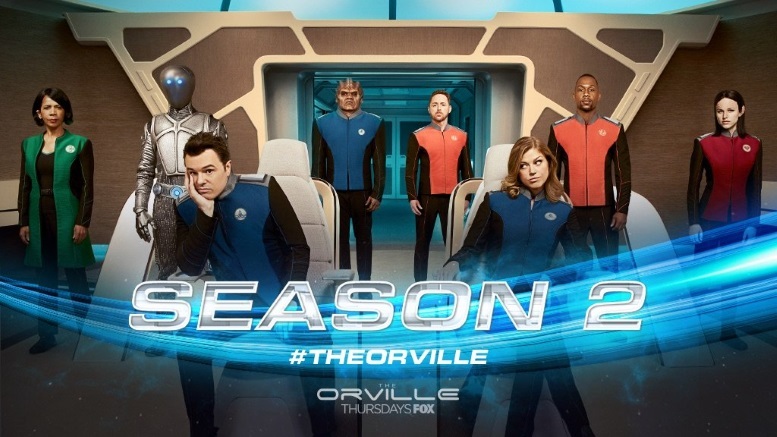 Having each series on at a different time also works well for the business model of CBS All Access, giving fans reason to continue to subscribe year round. (In this age of peak television, have a break in between is also welcome). Of course for this to really work, they will need at least one or two more Star Trek series. The above trailer from season 4 of The Magicians was also released at New York Comic Com. Margo meets Ember in a dream but, as was seen in last season’s finale, Margo has no memory of being a queen. 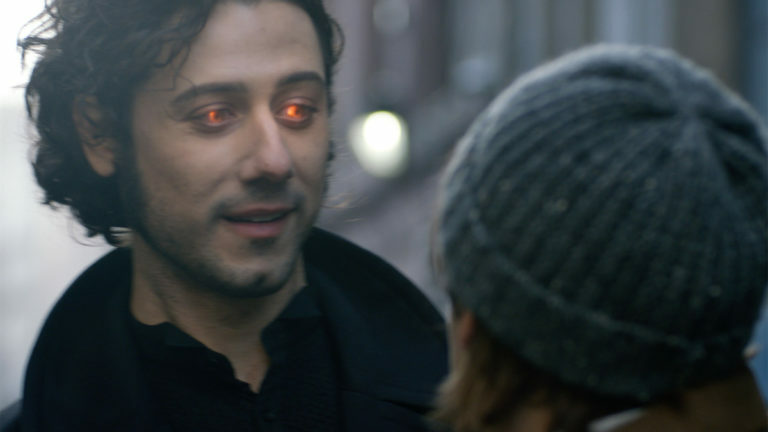 Actually it seemed like I was watching the season finale of The Magicians all over again a couple of weeks ago when watching the season finale of Killjoys. Instead of The Monster being on the loose and most of the characters losing their memories and having new identities, Killjoys ended with The Lady on the loose and the main characters also having new identities with their old memories lost. HOMECOMING, the new Amazon Prime Video psychological drama, is based on the podcast of the same name. Julia Roberts stars as Heidi Bergman, a caseworker at the Homecoming Transitional Support Center — a facility that is helping soldiers transition back to civilian life. Enter Walter Cruz (played by Stephan James), a soldier who is eager to move on to the next phase of his life. There’s also Colin Belfast (played by Bobby Cannavale), Heidi’s supervisor who seems to have questional motives. Fast forward four years, when Heidi has left the center and is working as a small-town waitress while living with her mother (played by Sissy Spacek). A Department of Defense auditor visits her one day to ask questions about the work she did at the Homecoming facility and why she left. As she relays her story, Heidi realizes there’s more to the story than she told even herself. Besides the strong cast as listed above, the series will be directed by Sam Esmail of Mr. Robot. Deadline spoke with Esmail about both Homecoming and season four of Mr. Robot. Backstage, Koening, Burton, Ryan, Shatner, Martin-Green and Kurtzman talked about how the Star Trek franchise still resonates after all these decades. “It resonates because we were talking about topical issues and socio-political content,” said Koening, who played the memorable Chekov. He said that it still resonates today. As the newest member of the fleet, Martin-Green points out that she hopes Discovery gives justice to the franchise and furthers it. “It was very important to us anew, but be our own at the same time,” she adds. 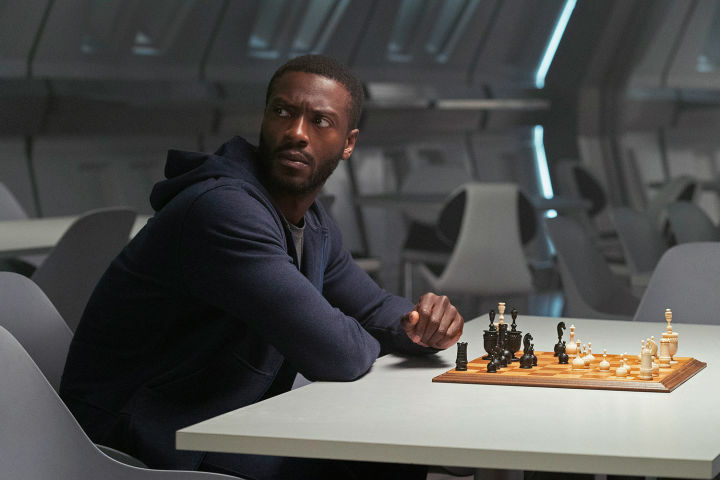 The USS Callister episode of Black Mirror, which was a warped homage to Star Trek, also won three awards. In other Star Trek news, Michael Chabon, who is working on the new Picard series, revealed that the show will take place in 2399. This brings us into uncharted territory, finally showing what happens beyond the 24th century when TNG, DS9, and Voyager took place. 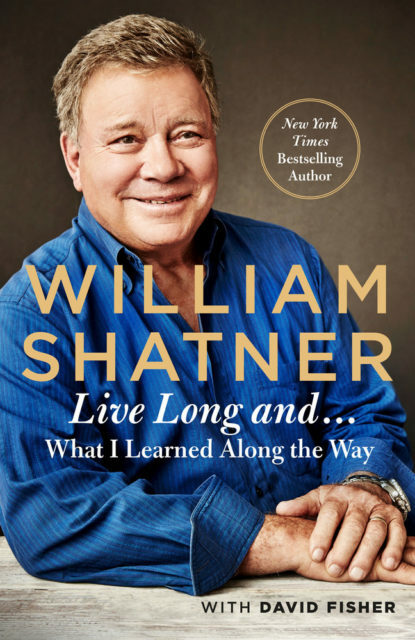 William Shatner has discussed why Captain Kirk was killed. Episodes on the CBS All Access app will be available for download for offline viewing, including Star Trek: Discovery. There are a few catches. Downloading will only be available for subscribers to the commercial free tier, downloads expire after 30 days, and after watching a show it will only remain available for another forty-eight hours. Rainn Wilson teased returning to Star Trek: Discovery to reprise his role as Harry Mudd. Well, I think people expect the fallout from everything that happened last year. There’s so many things that happened. So many decisions were made. So many changes happened. There was evolution in season one, but we weren’t able to dig into it because we were at war. So, you will see all of that. You will see people dealing with what’s left. Dealing with the residual, dealing with, “OK, what do I have now? What have I done? What does that mean? Who am I? Who are we?” You’ll see people asking those questions and seeking to answer them in season two. And there is a lot more…. there’s a little more joy just because we aren’t at war. We’re able to smile a little bit more. There’s a sense of levity that’s there simply because we’re not fighting for our lives. And Michael will be part of that? Be a bit lighter? Oh yeah, for sure. There’s certainly a heaviness that is present with me as Burnham, just because of everything that is driving me and because there are deep-seated problems there. So, those are still at play, for sure. But yes, you see the smile, and you see the chuckles that we allow ourselves to have, including Burnham, because we’re not fighting. 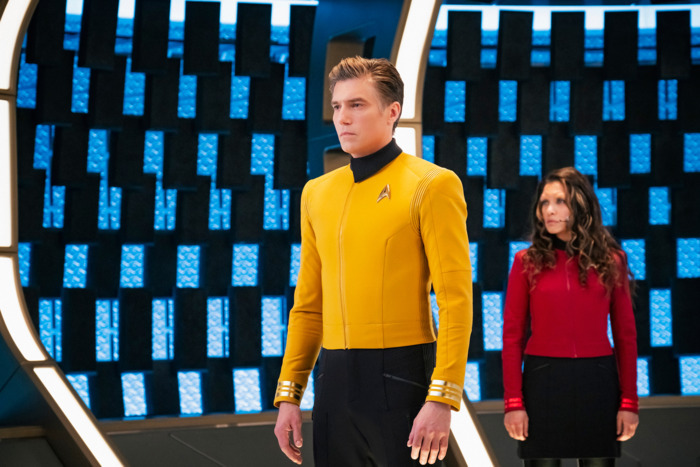 How will the presence of Captain Pike affect Michael? In that big way that a captain affects a ship and a crew. A crew is almost defined by the essence of the captain. 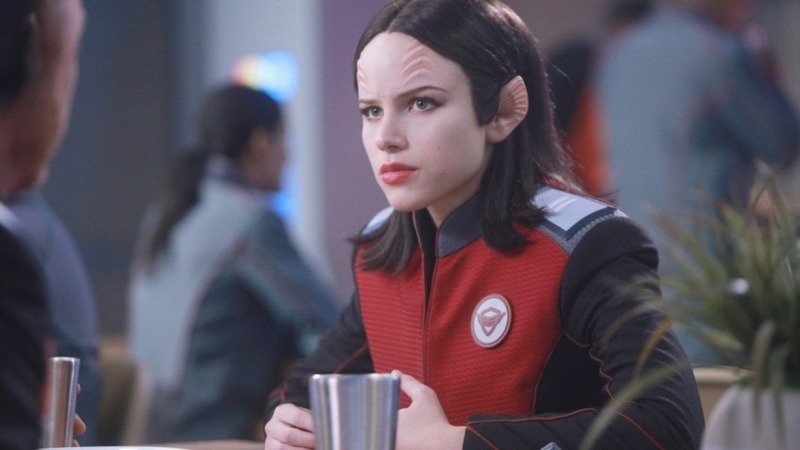 We went through the ringer with Lorca, and so there’s a little bit of PTSD there. There’s a little bit of distrust there because of what we’ve gone through and because we had someone who manipulated us and sought to kill us for his own gain. And so, Pike being the deeply rooted good guy he is, he is going to have an effect on us. He’s soothing in that way. He’s comforting in that way. And hopefully you will see us sort of galvanize because of that. 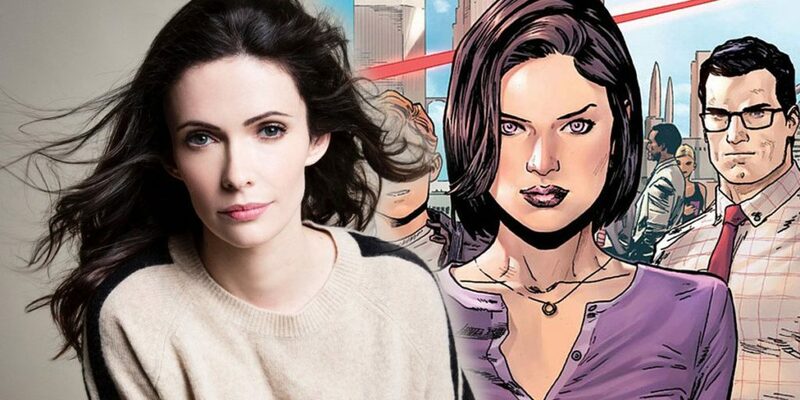 Elizabeth Tulloch of Grimm has been cast to play Lois Lane in the upcoming season’s Arrowverse crossover episode. This adds her to along list of actresses who have played the role, including Margot Kidder, Teri Hatcher, Amy Adams, Kate Bosworth, Noel Neill, Phyllis Coates, Erica Durance, Megan Fox, Uma Thurman, Dana Delany, Mandy Moore, Stana Katic and Pauley Perrette. 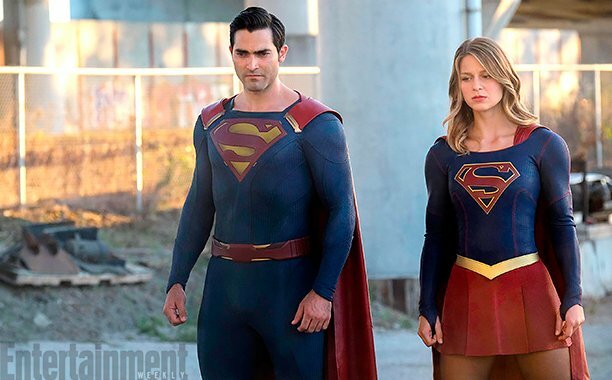 As previously announced, Tyler Hoechlin will reprise his role as Superman. Cassandra Jean Amell, wife of Stephen Amell, will play Nora Fries, the wife of Mr. Freeze. “I don’t want people’s expectations to be through the roof, but I really think this could be very similar to season 1 in [terms of] the heart and humor it had and the scope,” Grant Gustin tells EW. 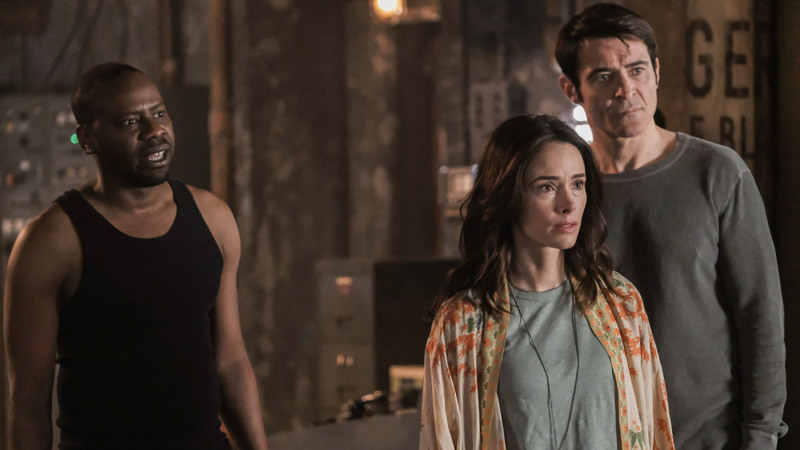 One thing contributing to the season’s lighthearted tone is the arrival of Barry and Iris’ (Candice) daughter from the future Nora (Jessica Parker Kennedy), which essentially thrusts parenthood onto the couple. “They’re learning all of the lessons new parents learn when their kids grow up, but since she’s an adult it sort of adds this heightened scenario to all those decisions,” says EP Todd Helbing. 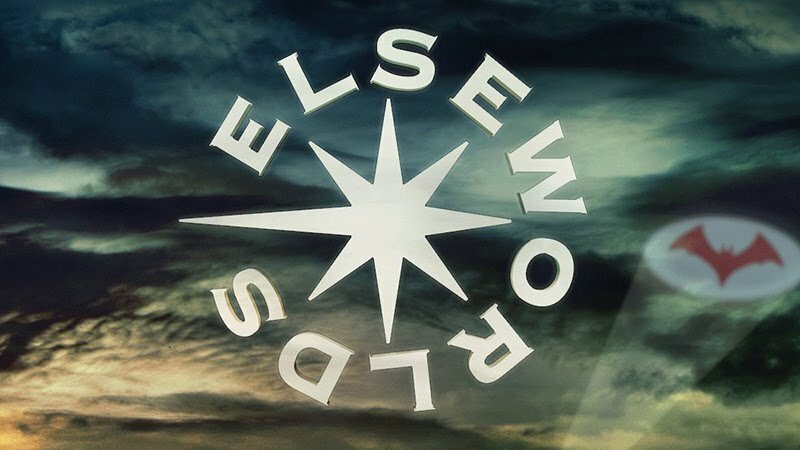 The CW Network has released the above teaser for Supergirl. Netflix has released the above trailer for season three of Daredevil. 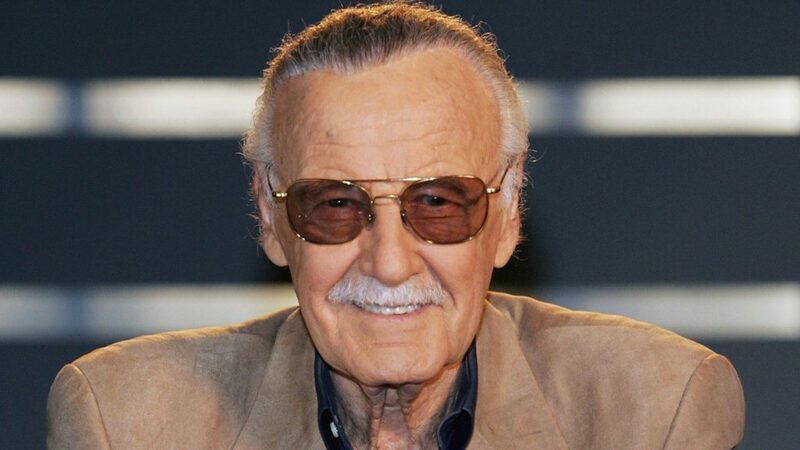 Bob Newhart will be making a final appearance as the ghost of Professor Proton on The Big Bang Theory. Tatiana Maslany of Orphan Black will be appearing with Bryan Cranston on a Broadway version of Network. Aaron Paul, who starred with Bryan Cranston on Breaking Bad, will be appearing as a regular on season three of Westworld. 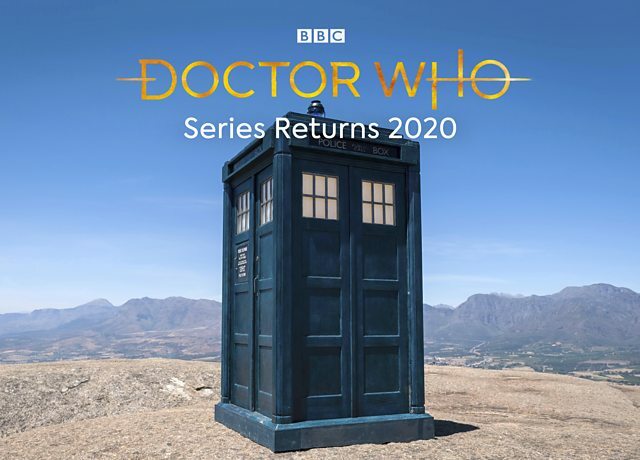 We finally have an announcement of a return date for Doctor Who, Sunday, October 7. I don’t know about viewing habits in the UK, but the change to Sunday could help ratings here in the United States. For years I have been downloading Doctor Who shortly after it airs in the UK instead of waiting to watch late on Saturday evening. 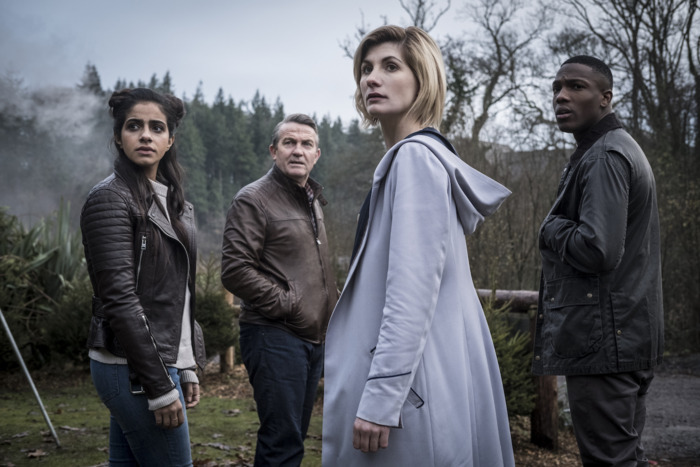 BBC American plans to air the first episode of Doctor Who this season at the same time it airs in the UK, followed by a repeat showing in the evening. Subsequent weeks I guess I’ll be back to downloading. With the change to Sunday I might have to reconsider how SciFi Weekend is posted. The post was initially called SciFi Friday, with the subsequent move to the weekends (generally Sunday) helpful for covering Friday night shows. 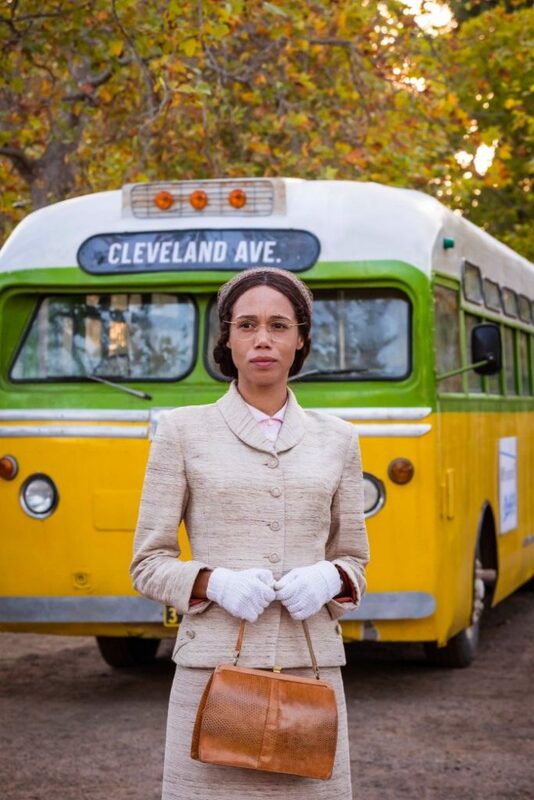 I have been reviewing new episodes of Doctor Who on Sundays, the day following their release. 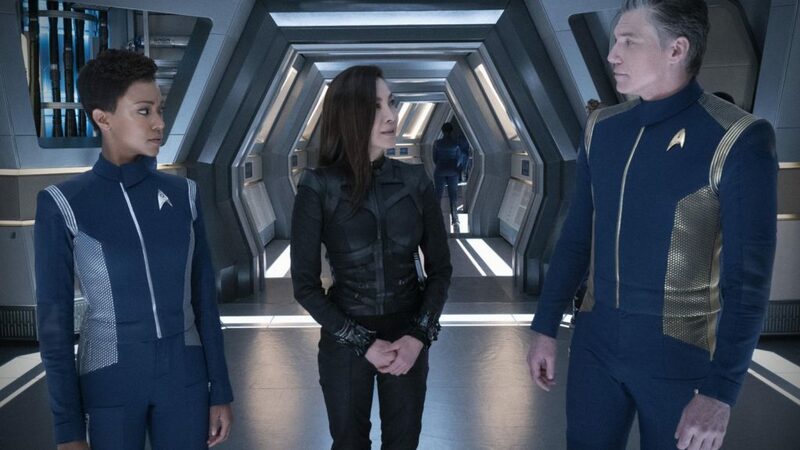 Sunday releases create a problem with this schedule, as I ran into last year with my weekly reviews of the first season of Star Trek: Discovery not being posted until a week after the show aired. 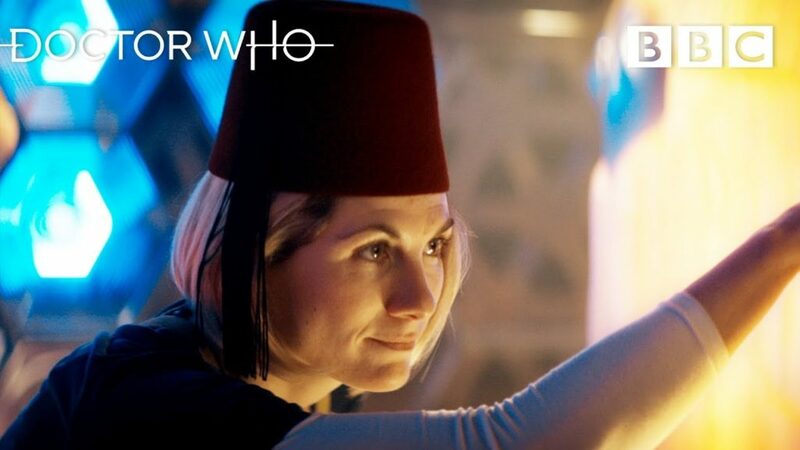 BBC America will be rebroadcasting every episode of Doctor Who since the reboot. This will take place over thirteen days, beginning on September 25 at 6 am. In the book, you talk about regret, although mostly framed as how you regret the things you haven’t done. I’m curious about something you did do that may have cut off future opportunities. 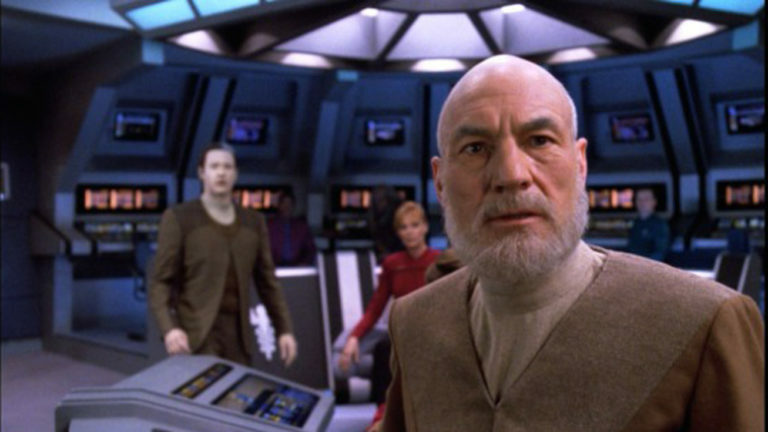 Do you regret agreeing to do Star Trek: Generations, and allow them to kill off Kirk? Well, I didn’t think I had any choice in the matter. Paramount had decided that the ceiling that they could reach in our box office had been reached and they thought that by putting in the Next Generation cast, that they would reach a higher box office. That decision had been made. It was either I was going to appear and die, or they were going to say he died. So, I chose the more practical of the two. So, they were killing you no matter what? That was their theory. It didn’t work out that way, but that is the way it was. Recently you gave an interview where you said you were happy for Patrick Stewart and his new Star Trek series, but doing something like that wasn’t for you. Some in the media took that to mean you were done with Star Trek entirely. Last year you told me you were open to returning to the character. You may not want to do a new TV series, but if they can find a way to make it work, you would still return to the role, right? That is exactly right. If they can find a way of writing a 50 years older captain and it was meaningful and had something to do with the plot, I would jump at the chance. “Well, I’m going to have to go straight to the finale. Vote of confidence, who liked the finale? [The room broke out into cheers] Who did not like the finale? [about the same amount of cheers] About 50/50. So, for those of who you didn’t like it; you loved our show, because at the end of every week, we would leave you with an impossible and pressing mystery. It would force you to the water cooler, or the dinner table, asking each other the most difficult questions. Usually philosophical questions. Sometimes questions that touched on God or religion and reality, and what it means to be human. And then, on the finale, you sat waiting with baited breath, thinking ‘they’re gonna give us the answer.’ Well, that’s what religions do. So if you want the answer to the great big question of life, go to church, go to God, find the answer, but art…art is supposed to, every time without fail, turn the question back on you, and asks you to look at what you’re seeing, listen to what you’re hearing, experience it, and then look at it in the mirror of your soul, and figure out what it means to you. And so there is no one interpretation of the finale of LOST. For as many people that are in this room, there are that many true, real, endings for LOST. Jacqueline Pearce, who played Servalan on Blakes 7 has died at 74. It is another slow week with only one new science fiction show airing which I’m watching (Killjoys). While fun to watch, I don’t find that a show worth reviewing episode by episode as I do with some genre shows. There was one season finale with The Affair, but I don’t see much point in writing about that here except for one brief comment. I was surprised that such a major character was killed off, but many have speculated that it came down to Ruth Wilson complaining about not receiving equal pay with its male lead. Tonight is the season finale of Sharp Objects, but I will wait until after I see the finale to comment on the show. While no shows to review this week, there have been some items of interest. 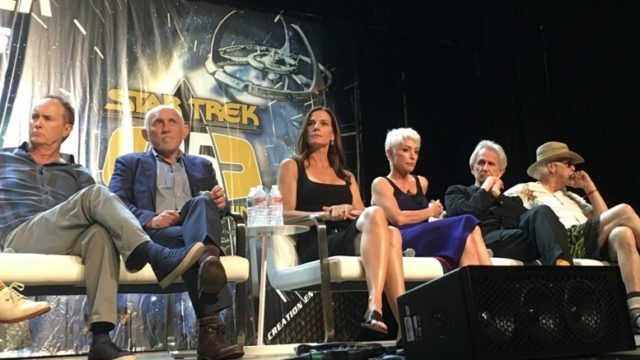 Speaking during a panel at Star Trek Las Vegas, Behr revealed that he really wanted the series finale to call back to the popular season six episode “Far Beyond the Stars,” revealing that the entire story of Star Trek: Deep Space Nine was actually the dream of science fiction writer Benny Russell. 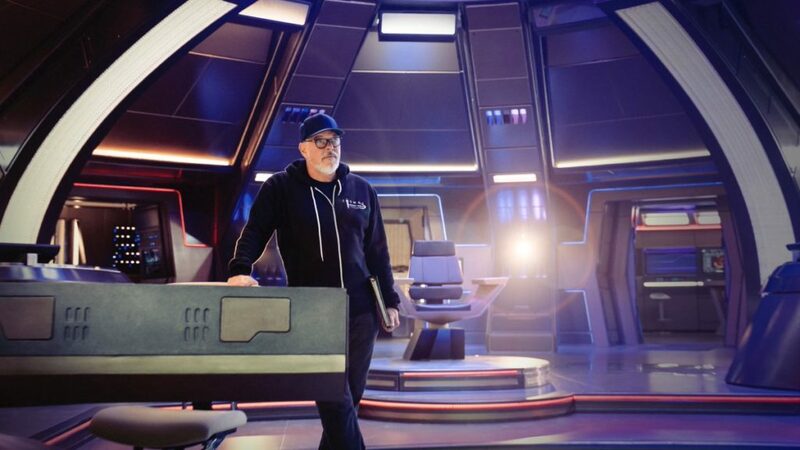 “I did pitch to [executive producer] Rick Berman that the final episode would end up with Benny Russell on Stage 17 at Paramount, wandering around the soundstages, realizing that this whole construct, this whole series, that we had done for seven years, was just in Benny’s head,” Behr said (via Trek Movie). But Deep Space Nine is just one television series in the Star Trek franchise, and Behr’s dream ending could have had major implications for the rest of the franchise as well. “That is how I wanted to end the series. And Rick said ‘Does this mean The Original Series was in Benny’s head? 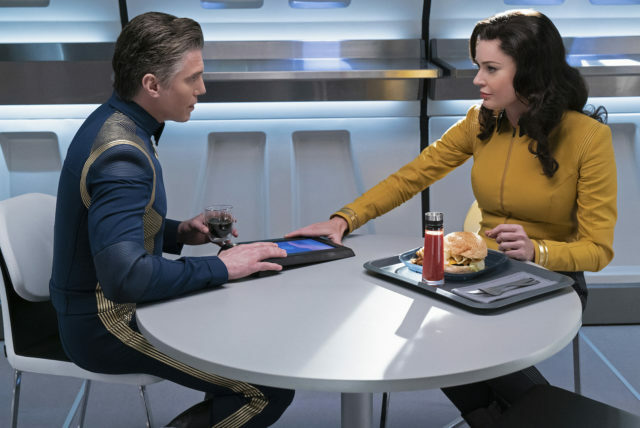 Does this mean Voyager was in Benny’s head?’ I said ‘Hey man, I don’t care who is dreaming those shows, I only care about Deep Space Nine and yes, Benny Russell is dreaming Deep Space Nine.’ He didn’t go for it,” Behr said. In “Far Beyond the Stars,” series lead Sisko finds himself experiencing the life of Benny Russell, a black science fiction writer in 1950s America. Russell imagines Deep Space Nine as a story he’s trying to sell, but struggles with the racism of the era. In the end, this is revealed as a vision sent to Sisko from the prophets in the wormhole near Deep Space Nine. In reality, it’s a powerful episode about what science fiction is for, what it is capable of, and why who writes it matters. Star Trek: Deep Space Nine is celebrating its 25th anniversary this year. There’s a documentary planned for release later this year titled What We Left Behind that will feature the cast and creative team that worked on the show looking back on the time they spent, the stories they created, and the legacy of the series. I totally agree with Rick Berman on this one. It was fine to have an isolated episode in which things were possibly a dream, or for some series like St. Elsewhere to be a dream, but do not end the series in this manner when Star Trek extends far beyond this series. No, we haven’t [heard anything], and I am sure Patrick will fill us in sometime. I have no idea if we are in it, or if it is just Patrick or what. We will all find out, but it is just so cool, though. It is very exciting. 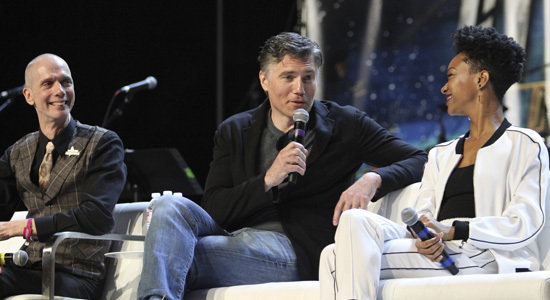 Again, I am always blown away by the fans, who have loved the show and Roddenberry’s vision for so long and through so many different series, and they have all been so wonderful. I am as excited as everybody else. 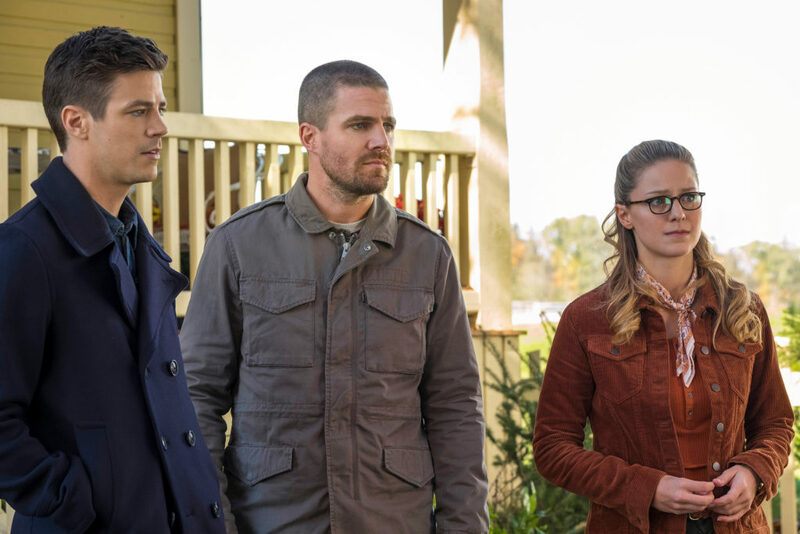 The three-night crossover event kicks off with The Flash on at 8 PM Sunday, December 9, followed by Arrow at 8 PM December 10 and capping off with Supergirl on December 11. For this year’s crossover, The Flash and Supergirl will swap time slots. 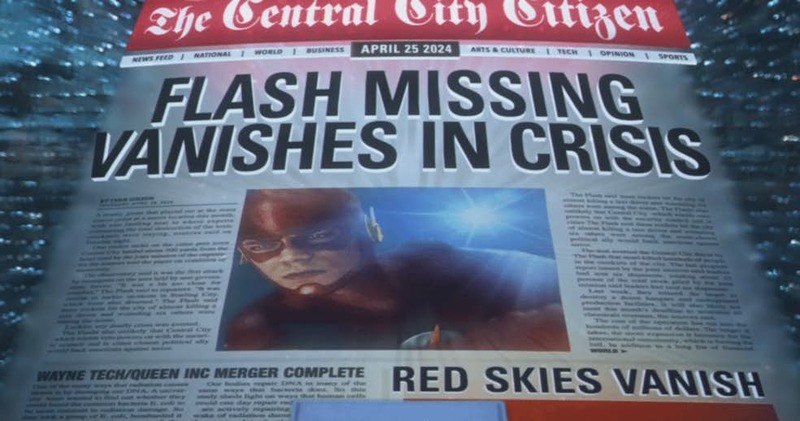 The Flash normally airs on Tuesdays and Supergirl on Sunday. Arrow airs in its regular Monday night slot. Hoechlin’s Superman will appear in all three episodes. This year’s crossover will also include the first appearance of Batwoman (Ruby Rose). I09 has a story on the rise of the Dark Night on the upcoming season of Gotham. In a competitive situation, the Jessica Jones creator and showrunner will depart the Netflix Marvel drama after season three and move to Warner Bros. Television with an overall deal. Sources say the indie studio outbid Netflix for Rosenberg’s services in a deal that ultimately is worth in the eight-figure range. Ultimately, Rosenberg was ready to do something different and was ready to move on to new projects though Netflix is said to have courted her to stay. Under the multiple-year pact, Rosenberg will create and develop new projects for Warner Bros. TV. She is currently focused finishing up the previously announced third season of Netflix’s Marvel drama Jessica Jones. A return date for the Krysten Ritter-led Marvel Television drama from ABC Studios has not yet been determined. A new showrunner would take over for Rosenberg should Netflix renew Jessica Jones for a fourth season. Rosenberg will remain credited as the show’s creator and executive producer. Hulu is planning a reboot of Veronica Mars, with Kristen Bell reprising the title role. Apple has picked up a ten-episode series based upon Isaac Asimov’s Foundation trilogy. 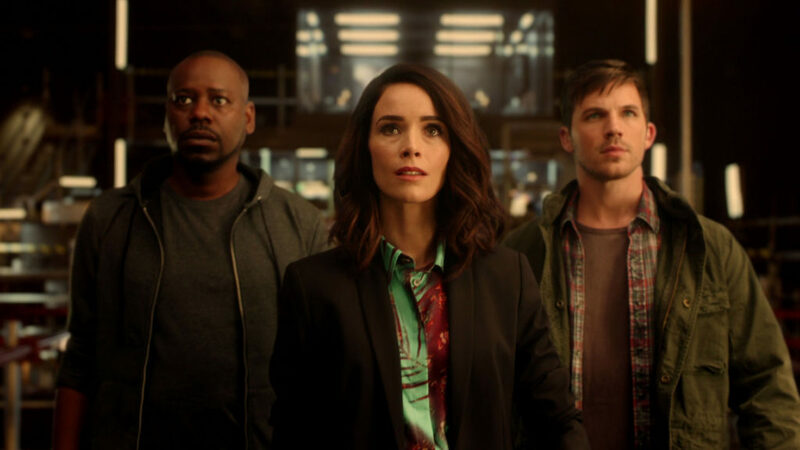 We have more news on the Timeless movie planned to wrap up the series. 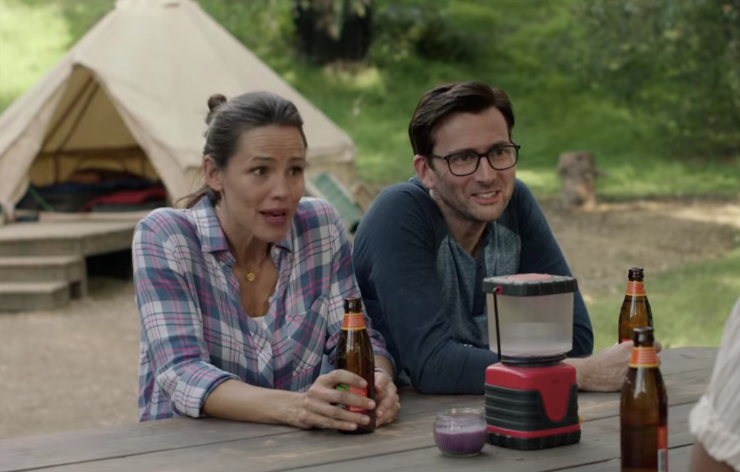 The two-part episode will air in December, with production starting in October. The full cast will be returning. TVLine has more on the planned writers and director. The Stone Sky by N.K. Jemisin has won the Hugo Award for best novel. 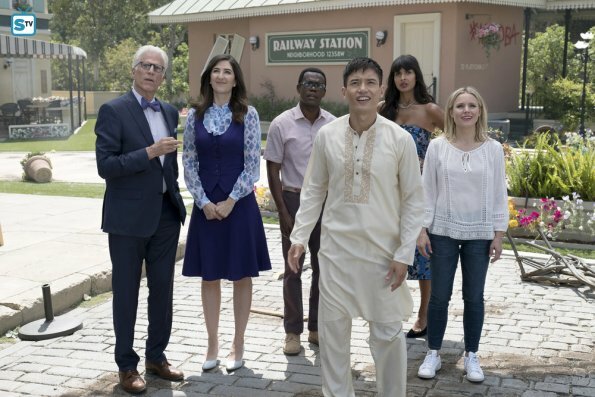 Wonder Woman has won for Best Dramatic Presentation–Long Form and The Good Place: “The Trolley Problem” has won for Best Dramatic Presentation–Short Form. The Verge has a full list of nominees and winners. ABC is planning a biracial reboot of Bewitched. I’m sure everyone who cares knows by now, but I feel I should include the news that The Big Bang Theory will be ending after this season. Fifty million dollars was not enough to entice Jim Parsons to stick around for another two years.